The Pullman National Historic Landmark District (Pullman Historic District) in Chicago, Illinois, typifies many of the economic, social, and design currents running through American life in the late 19th and early 20th century, yet it is unlike any other place in the country. Industrialist George Mortimer Pullman built the model town to house workers at his luxury rail car factories. Although his goal was to cure the social ills of the day, the tight control he exercised over his workers helped spark one of the Nation’s most widespread and consequential labor strikes. The remaining structures of the Pullman Palace Car Company (Pullman Company), workers’ housing, and community buildings that make up the Pullman Historic District are an evocative testament to the evolution of American industry, the rise of unions and the labor movement, the lasting strength of good urban design, and the remarkable journey of the Pullman porters toward the civil rights movement of the 20th century. The model factory town of Pullman was created in the 1880s by the Pullman Company to manufacture railroad passenger cars and house workers and their families. Company founder George Pullman saw the positive incentives of good housing, parks, and amenities as a way to foster a happy and reliable workforce. Pullman and his wealthy industrialist peers could not fail to see the poor living conditions in which many of their workers lived. The industrial revolution drew hundreds of thousands to urban areas, which led to a rise in slums and social ills. The widening gulf between management and workers contributed to labor unrest, which was acutely felt in Chicago. Pullman was convinced that capital and labor should cooperate for mutual benefit and sought to address the needs of his workers using his philosophy of capitalist efficiency. He attempted an uncommon solution to the common problems of the day by creating a model town. Pullman engaged young architect Solon Spencer Beman and landscape architect Nathan F. Barrett to plan the town and design its buildings and public spaces to be both practical and aesthetically pleasing. Beman designed housing in the simple yet elegant Queen Anne style and included Romanesque arches for buildings that housed shops and services. Though he strove to avoid monotony, Beman imbued the town with visual continuity. The scale, detailing, and architectural sophistication of the community were unprecedented. Barrett broke up the monotony of the grid of streets with his landscape design. Trees and street lights enlivened the streetscape. Unified, orderly, and innovative in its design, the model town of Pullman, then an independent town south of Chicago’s city limits, became an internationally famous experiment in planning and attracted visitors from far and wide. The model factory town of Pullman is considered the first planned industrial community in the United States, and served as both an influential model and a cautionary tale for subsequent industrial developments. The beauty, sanitation, and order George Pullman provided his workers and their families were not without cost. Pullman believed people did not value the things they did not pay for. The Pullman Company owned every building and charged rents that would ensure a return on the company’s investment in building the town. He also created a system of social control and hierarchy discernible in the standards of conduct for residents and in the architecture and layout of the community that can still be seen today in the well-preserved Pullman Historic District. For example, the larger, more ornate, and finely finished houses on Arcade Row were reserved for company officers, while junior workers resided in smaller, simpler row houses, and single and unskilled workers resided in tenement blocks with less ornamentation located farther away from the town’s public face. In 1893, the worst economic depression in American history prior to the Great Depression hit the country in general and the railroad industry in particular. Orders at the Pullman Company declined. The Pullman Company lowered its workers’ wages but not the rents it charged those workers for company housing. These measures angered the workers and sparked the Pullman strike of 1894. 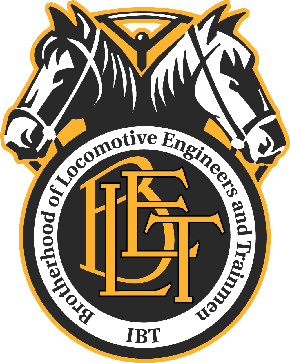 The American Railway Union, led by Eugene V. Debs, had formed the year prior in Chicago, with membership open to all white railroad employees of any profession. In solidarity, American Railway Union members nationwide boycotted Pullman cars, disrupting rail traffic across much of the Nation. Thus, the strike that began as a local walkout on May 11, 1894, grew into one of American history’s largest labor actions, paralyzing most of the railroads west of Detroit and threatening the national economy. On June 27, 1894, as the Pullman strike was growing, the Congress passed legislation designating Labor Day a Federal holiday, and President Grover Cleveland signed it the next day. Thirty-one States had already adopted the holiday, but it was the Pullman strike of 1894 that spurred final Federal action in an attempt to placate workers across the Nation. At its peak, the Pullman strike affected some 250,000 workers in 27 States and disrupted Federal mail delivery. The United States secured a court injunction declaring the strike illegal under the Sherman Antitrust Act, and President Cleveland ultimately intervened with Federal troops. The strike ended violently by mid-July, a labor defeat with national reverberations. George Pullman did not loosen his tight control of the town of Pullman after the strike ended. Illinois sued the Pullman Company in August 1894, alleging that the company’s ownership and operation of the town violated its corporate charter. The Illinois Supreme Court agreed in an 1898 decision, and ordered the company to sell all non-industrial land holdings in the town. By that time, Robert Todd Lincoln, the oldest son of President Abraham Lincoln and general counsel of the Pullman Company during the 1894 strike, had succeeded George Pullman as president of the company. In 1907, the company finally sold most of its residential properties to comply with the Illinois Supreme Court’s order. The Pullman Company would again be the focus of a nationally important labor event when, in 1937, the Brotherhood of Sleeping Car Porters (BSCP), an influential African American union founded by A. Philip Randolph, won a labor contract for the Pullman porters from the company. The Pullman Company leased its cars to railroads and directly employed the attendants — porters, waiters, and maids. At its founding, the company hired recently freed former house slaves as porters. The porters remained a group of exclusively African American men throughout the company’s history, playing a significant role in the rise of the African American middle class. By 1937, the Pullman Company had been the Nation’s largest employer of African Americans for over 20 years and Pullman porters composed 44 percent of the Pullman Company workforce. The 1937 contract was the first major labor agreement between a union led by African Americans and a corporation and is considered one of the most important markers since Reconstruction toward African American independence from racist paternalism. The agreement served as a model for other African American workers and significantly contributed to the rise of the civil rights movement in the United States. The Pullman Historic District is an important site for understanding the iconic historic connection between the Pullman porters, the BSCP, and the Pullman Company. The architecture, urban planning, transportation, labor relations, and social history of the Pullman Historic District have national significance. The Pullman Historic District tells rich, layered stories of American opportunity and discrimination, industrial engineering, corporate power and factory workers, new immigrants to this country and formerly enslaved people and their descendants, strikes and collective bargaining. The events and themes associated with the Pullman Company continue to resonate today as employers and workers still seek opportunities for better lives. NOW, THEREFORE, I, BARACK OBAMA, President of the United States of America, by the authority vested in me by section 320301 of title 54, United States Code, hereby proclaim the objects identified above that are situated upon lands and interests in lands owned or controlled by the Federal Government to be the Pullman National Monument (monument) and, for the purpose of protecting those objects, reserve as a part thereof all lands and interests in lands owned or controlled by the Federal Government within the “National Monument Boundary” described on the accompanying map, which is attached to and forms a part of this proclamation. These reserved Federal lands and interests in lands encompass approximately 0.2397 acres, together with appurtenant easements for all necessary purposes. All Federal lands and interests in lands within the “National Monument Boundary” described on the accompanying map are hereby appropriated and withdrawn from all forms of entry, location, selection, sale, leasing, or other disposition under the public land laws, from location, entry, and patent under the mining laws, and from disposition under all laws relating to mineral and geothermal leasing. The establishment of the monument is subject to valid existing rights. Lands and interests in lands not owned or controlled by the Federal Government within the “National Monument Boundary” described on the accompanying map shall be reserved as a part of the monument, and objects identified above that are situated upon those lands and interests in lands shall be part of the monument, upon acquisition of ownership or control by the Federal Government. The “National Monument Boundary” described on the accompanying map is confined to the smallest area compatible with the proper care and management of the objects to be protected within those boundaries. The Secretary shall manage the monument through the National Park Service, pursuant to applicable legal authorities, consistent with the purposes and provisions of this proclamation. The Secretary shall prepare a management plan for the monument within 3 years of the date of this proclamation. The management plan shall ensure that the monument fulfills the following purposes for the benefit of present and future generations: (1) to preserve the historic resources; (2) to interpret the industrial history and labor struggles and achievements associated with the Pullman Company, including the rise and role of the Brotherhood of Sleeping Car Porters; and (3) to interpret the history of urban planning and design of which the planned company town of Pullman is a nationally significant example. The management plan shall, among other provisions, set forth the desired relationship of the monument to other related resources, programs, and organizations within its boundaries, as well as at other places related to the Pullman Company and the stories associated with it. The management planning process shall provide for full public involvement, including coordination with the State of Illinois and the City of Chicago and consultation with interested parties including museums and preservation and neighborhood organizations. The management plan shall identify steps to be taken to provide interpretive opportunities and coordinate visitor services for the entirety of the Pullman Historic District to the extent practicable and appropriate for a broader understanding of the monument and the themes that contribute to its national significance. IN WITNESS WHEREOF, I have hereunto set my hand this nineteenth day of February, in the year of our Lord two thousand fifteen, and of the Independence of the United States of America the two hundred and thirty-ninth.